This is What We�re Made Of. 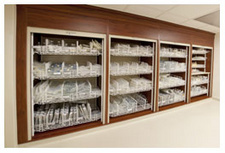 Shelving Design Systems is a specialized healthcare design and installation firm. We create innovative store displays that improve spaces-better layouts, smarter workflow, and more meaningful customer interaction-through use of the highest quality materials, design and space planning. With a long history in the retail and healthcare industry, many jobs completed, compliances and codes met and many difficult spaces filled means we have the unique know-how to make any project a roaring success. A one-stop shop-sales, design, manufacture and installation. Shelving Design Systems offers complete, start-to-finish design services. 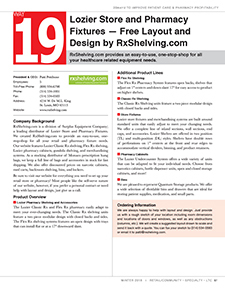 Shelving Design Systems design layout engineering construction supply, design fixtures and layout for standard and custom retail pharmacies and hospital industrial and LTC pharmacies. 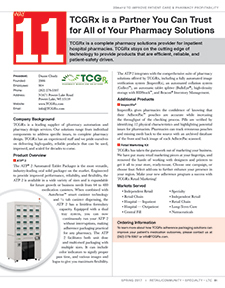 Standard retail pharmacy design with shelving design systems pharmacy work counters cabinets storage shelving OTC work station and compounding. 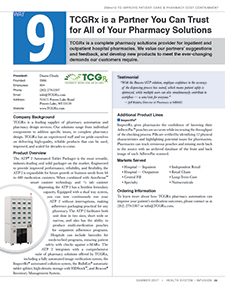 Specializing in Custom Wood OTC & RX Shelving with gondolas and end caps, will call, front shelving with Shelving Design Systems. 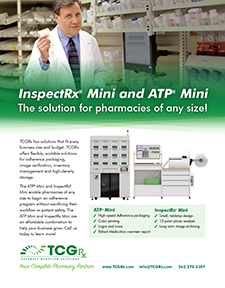 Our specialty is increasing your productivity and profits through the design and installation of modern pharmacy equipment. Retail Designs was founded in January 1975 and is located in Brentwood, TN. 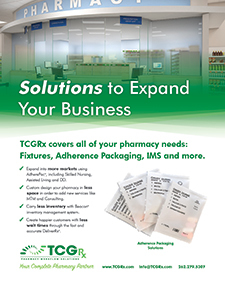 We have designed and installed over 2000 pharmacies in 24 states ranging from downtown Manhattan to the rural hills of Eastern Kentucky. 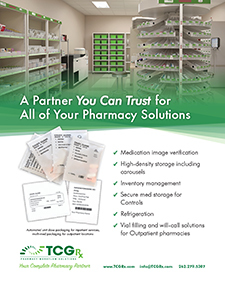 We have earned the loyalty of pharmacists throughout America and we want to earn your loyalty. 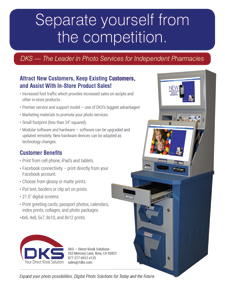 Independent pharmacies are our focus. Our scope of work also includes hospitals, medical clinics and physician office buildings. 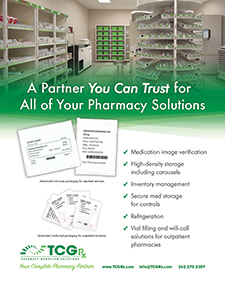 Finally, we have designed/installed industrial pharmacies for BMW, Eastman Kodak, Tyson Chicken and Nissan. WE ARE READY TO SERVE YOU! We design the pharmacy based totally on the uniqueness of your operation. The equipment is ultra functional. We listen to you and provide options for your equipment needs. 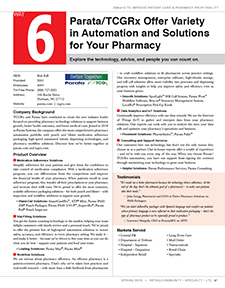 Are you using automated dispensing? Do you need additional/larger work stations, DME/Diabetic areas? Is your consultation area satisfactory to your patients? We design a pharmacy that prepares you for the future. Also, Retail Designs routinely works with architects and other professionals involved with your project. 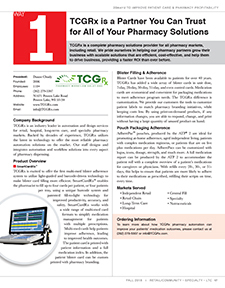 The color of your pharmacy subconsciously affects the customer � make sure it is positive! We offer the largest choice of colors available on the market. You choose from hundreds of variations, shades and tones. The experience of our installers ranges from 6-18 years. You deserve to have your equipment installed correctly and at your convenience. Also, our installation costs are incredibly reasonable. We do not �mark-up� our installation to compensate for giving you a competitive price for your equipment. 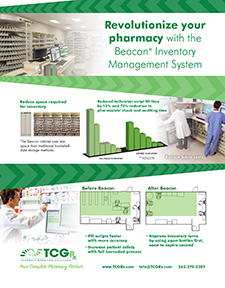 Beacon® Inventory Management System � from large integrated networks, retail chains or a single-site location, Beacon gives you dashboards and reports that empower your business to reduce inventory holding costs at any level and in any size organization.Beacon offers a one-of-a-kind inventory management system that integrates with your pharmacy information system. 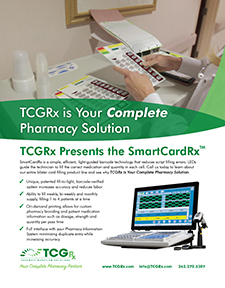 Using barcode-driven technology, it tracks all of your formulary from the bottle, down to the pill level. 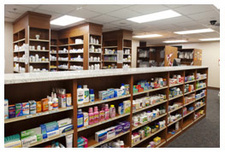 RxShelving.com is a division of Surplus Equipment Company; a leading distributor of Lozier Pharmacy Shelving, Flex Rx Shelving, Pharmacy Cabinets, and Store Fixtures. 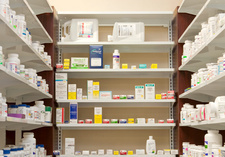 We created RxShelving.com to provide an easy to use, one stop shop for all your retail and pharmacy fixture needs. We offer convenient online ordering for these products & more! 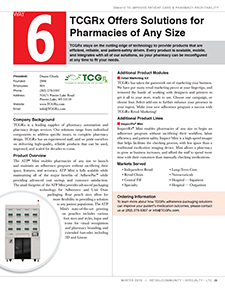 The new Flex Rx Pharmacy System features open backs, shelves that adjust on 1" centers and down slant 17 1/2 degree for easy access to product on higher shelves. The Classic Rx Shelving units feature a two piece modular design with closed backs and sides. Lozier store fixtures and merchandising systems are built around standard units that easily adjust to meet your changing needs. We offer a complete line of island sections, wall sections, end caps, and accessories. Lozier Shelves are offered in two position (TL) and multi-position (DL) styles. Shelves have double rows of perforations on 1" centers at the front and rear edges to accommodate vertical dividers, binning, and product retainers. The Lozier Undercounter System offers a wide variety of units that can be adapted to fit your individual needs. Choose from narcotics cabinets, bottle dispenser units, open and closed storage cabinet, and more! We are pleased to represent Akro Mils and Quantum Storage products. We offer a wide selection of dividable bins & drawers that are ideal for storing patient supplies, medication, and small parts. 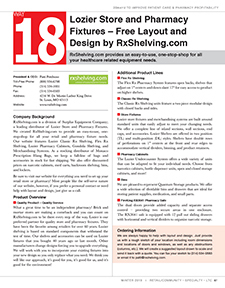 We are always happy to help with layout and design. Please provide us with a rough sketch of your location showing room dimensions, locations of doors, windows, and any obstructions (columns, etc.). Contact us using the handy links provided. 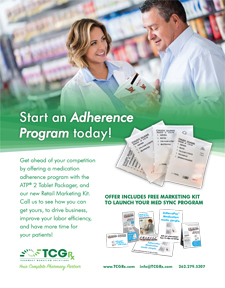 Ever get tired of fixture representatives telling you what will work in your retail pharmacy�reps who have never owned pharmacies & are certainly not pharmacists trying to work faster & with more accuracy, while still enjoying the process? 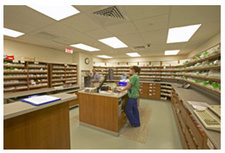 If you look at pictures of a 1964 pharmacy, you will see that pharmacy design has not changed in over half a century. We decided there had to be a better way. In the numerous pharmacies we have owned since 1971, we have continued to imagine & implement ways to improve workflow before anyone even understood the term or its value. 1. Will this increase speed/productivity? 2. Will this increase accuracy? 3. Will this increase employee satisfaction? The results have been astounding! Our pharmacy continues to innovate, thrive, and succeed in very challenging times. 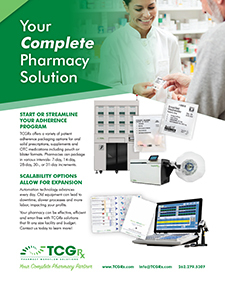 Find out how SmartFlow Pharmacy Workflow System could enhance your store today! Profit -Results from increased speed & productivity; lowers 2nd largest expense-wages. Skills - Production pharmacist frees clinical pharmacist to work in an area of expertise & increase niche sales. Satisfaction - Employees have more horizontal work space, personal space, less walking distance, & increased output. Anti-anxiety - Urgency-colored hanging bags allow consistent balance between urgency & time orders are received. Footprint - Reduced footprint with round, vertical inventory carousels, 1-3 tiered bag storage & quick retrieval. Synergy - By adding redesign + SmartFlow System, you can raise current verification rates 3 times the average (1+1=3). Counseling - Unique Lego designed iPad kiosk/video center allows quick/consistent counseling in-store or at home. 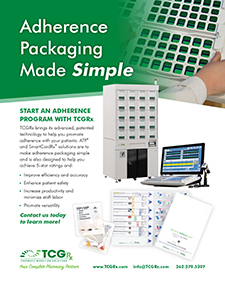 *Productivity numbers exhibited by our pharmacists & technicians are based on a combination of excellent workflow, pharmacy software, robotics, IVR, & up to date hardware. 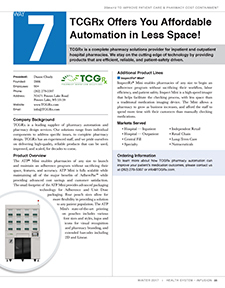 The recommended redesign, in combination with the SmartFlow Pharmacy Workflow System, allows for maximum technician/pharmacist interaction & minimal turbulence (outside disruptions). For over 40 years, Uniweb�s philosophy has focused on building relationships to help their customers identify their needs and arrive at cost-effective, viable solutions. 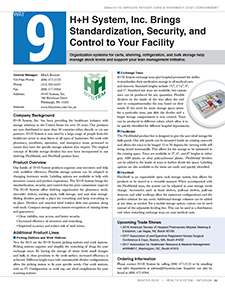 Their expertise derives from working with other fixture manufacturers, pharmacy personnel, designers and architects, and store planners, creating an optimal knowledge base that our customers can depend on. 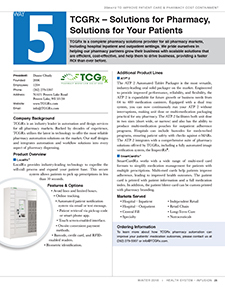 The Uniweb pharmacy solution is based on factory built modular units that are complete with UL listed modular wiring. The modularity allows for total flexibility of the complete unit and or all above and below accessories. Considering that they are a custom manufacture they are not limited to �fixed� boxes or components. This allows for every square foot of space to be fully utilized! 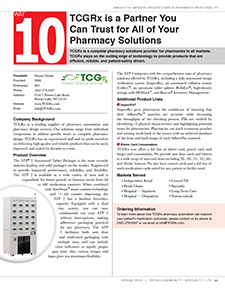 Their experience has proven that they can increase pharmacy inventory capacity by 30% and offer project costs 15-20% less than conventional millwork solutions. Add to this the tax advantage of depreciating the complete project as a �fixture� � accelerates return of investment! 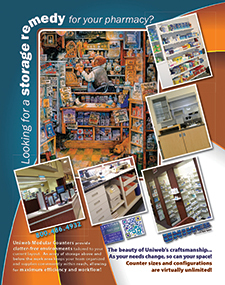 Whether requiring new construction - complete rooms, updated pharmacy fixtures, or space saving merchandising units, one thing is certain� Uniweb has the solution! 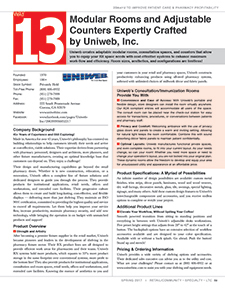 Explore the variety of applications for the Uniweb display system today. They would be proud to provide you with examples of current satisfied customers� installations. 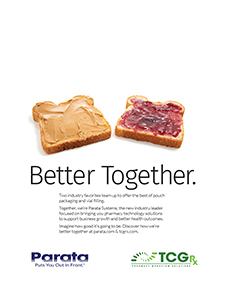 Visit them for a tour of their state-of-the-industry 180,000 sq. ft. manufacturing facility, including their newest team member, a precision automated laser production line. What challenges do you have for Uniweb? 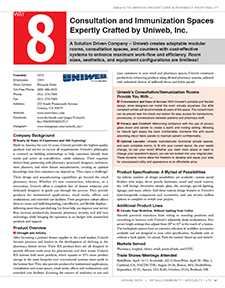 Uniweb's expertise is, without question, the design and manufacturing of high quality, powder-coated, steel fixtures and components. They look forward to meeting with you with dedication and enthusiasm to review your next pharmacy project. Is your workspace suffering from dated cabinets and worn out countertops? Are you looking for ways to improve efficiency and productivity among your team? Would you like to find furnishings that are flexible, interchangeable and expandable so you�re not stuck buying new cabinets, shelves and storage solutions again in a few years when your needs change? Trust custom designed cabinet solutions from Health Care Logistics to create fast, easy, affordable furniture fixes that are as attractive as they are functional. We use today�s leading design tools and technology to create a customized solution that works for this decade and into the next. Our FREE 3D Design Consultation Service lets you see a virtual layout of your space and choose the combination of pieces to best suit your needs. Best of all, your custom designed cabinets and shelves ship in five working days or less! 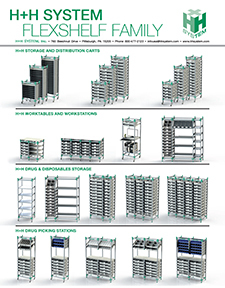 Our entire product line is flexible, interchangeable and expandable, guaranteeing a perfect fit today and flexibility for the future. This modular design feature allows for easy reconfiguration in the future as needs, space and equipment change. And with durable materials, our high quality cabinets are sturdy enough stand up to all your rearranging and repurposing. Additional pieces can be ordered at any time to blend seamlessly with your existing HCL design. R.C. Smith is a leader in the field of pharmacy design and modular pharmacy casework with over 7,000 completed projects in both inpatient and outpatient settings. Founded in 1965 and still a family owned business. At R.C. 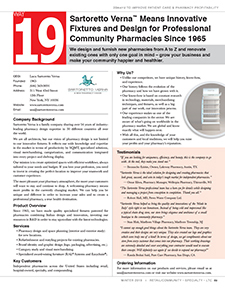 Smith, we understand that a highly functional pharmacy begins with a soundly planned design. Our design team will combine years of experience with sophisticated design software coupled with a collaborative approach to insure the success of your project. by recommending an appropriate pharmacy square footage based on similar projects in our database to insure that you have the right amount of space. by offering site visits to other facilities so that you can see our work firsthand and receive input from colleagues who have been through the process. 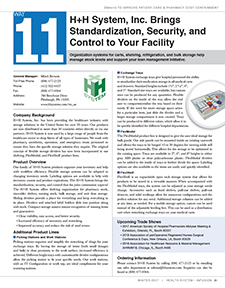 by understanding clean room design criteria and USP <797> / USP <800> state board of pharmacy regulatory compliance standards. by providing a variety of design and product options to select from so that the very best solution is realized. by reviewing plans with you and your team so that everyone has a clear understanding of how your finished project will look, feel and operate. 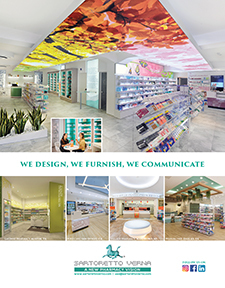 our design team will help you create a pharmacy that is highly functional, productive, ergonomic and aesthetically pleasing. R.C. Smith�s modular pharmacy casework is innovative and has been developed with a form-meets-function design philosophy after listening to countless numbers of pharmacy directors and staff along with architects working in the healthcare field. Our casework is fully manufactured in our own state of the art manufacturing facility that you are welcome to tour. 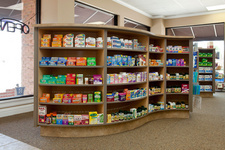 ONE SOURCE... Pharmacy Shelving, Design, Furniture & Installation. Warehouse DIRECT to your location! An Authorized LOZIER Dealer shipping Nationwide! 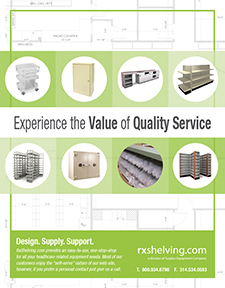 It's all about serving YOUR NEEDS with shelving solutions for any retail or institutional pharmacy design since 1972. 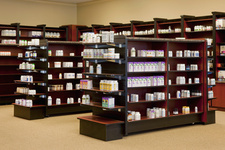 We are your "one stop shop" for pharmacy design consulting. Call us for Store Design, Display Shelving, Furniture and Installations that are all part of the "TURN KEY Service Concept". When your project is complete just unlock the door and start doing business. Let our knowledge of traffic flows, efficient design and display solutions, common to every successful retail business, ensure the success of your new or renovated location. Sales & Project Management: Our philosophy is to understand the needs of our customers, and respond to them with high value, innovative solutions in a prompt, experienced and enthusiastic manner. We�ve built our reputation on establishing strong relationships with quality clients, superior suppliers and excellent service providers. HL Coshatt equipment patient confidentiality unit dose secure safe locking contemporary Med-Modue cabinets & workstations antique pharmacy drawers bins free simple installation Module efficient space utilization square foot pharmacy inpatient outpatient hand crafted usp 797 compliant HL Coshatt. Lozier shelving store design display shelving installations rx retail design and FlexRx Storage, Classic Storage, Work Counter. 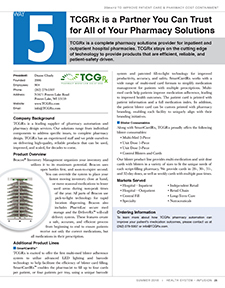 Shelving for Retail Pharmacies, Hospital Pharmacies, and Long Term Care Facilities. 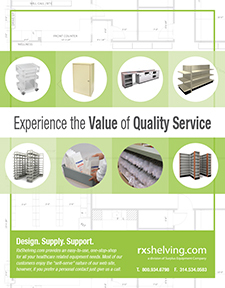 RxShelving.com provides an easy-to-use, one-stop-shop for all your healthcare related equipment needs. 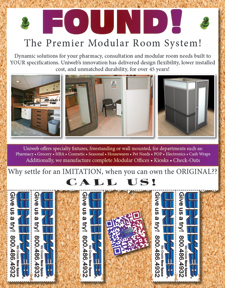 Modular Rooms and Adjustable Counters Expertly Crafted by Uniweb, Inc. 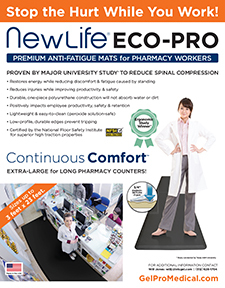 The use of NewLife ® Eco-Pro Anti-Fatigue Mats can protect your employees, increase productivity, and boost morale. Leading to happier and healthier employees. 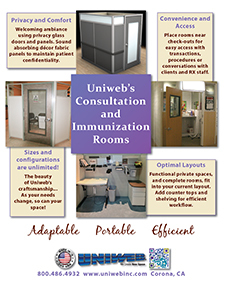 Uniweb creates adaptable modular rooms, consultation spaces, and counters that allow you to equip your RX space needs with cost-effective systems to enhance maximum work-flow and efficiency. Room sizes, aesthetics, and configurations are limitless! 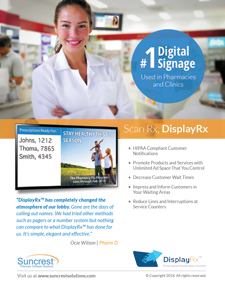 The experience of over 7,000 pharmacy designs combined with cutting edge technology! 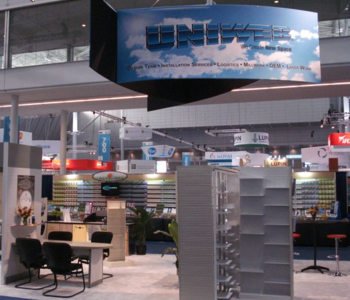 Uniweb Modular Counters provide clutter-free environments tailored to your current layout. Any Tray and any Configuration of Workstation possible. With the Akro-Mils Mobile Louvered Rack System, you can maintain the organization provided by AkroBins. 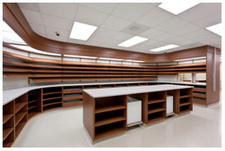 Retail Designs, Inc. specializes in the design, fabrication, and installation of modern pharmacy equipment. 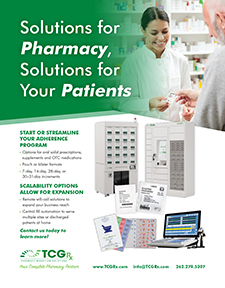 Increasing sales and productivity with Innovative Design for your pharmacy. 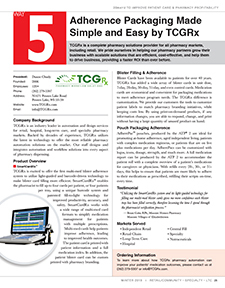 Imagine a Solution to Lowered 3rd Party Reimbursements. 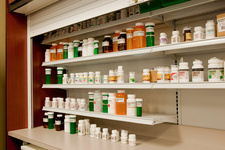 Manufacturer's of Rx metal cabinets, bays, and otc shelving. 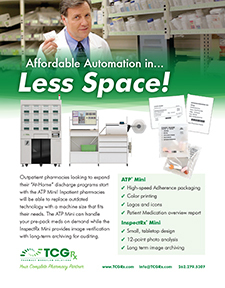 If you think pharmacy design and equipment companies are all the same ... think again! 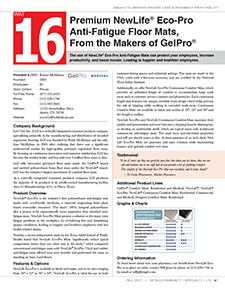 The professional's choice - #1 preferred anti-fatigue mat! Since 1972, H.L. 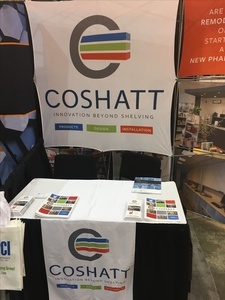 Coshatt Company, Inc. has been providing shelving and storage solutions for hospital and retail pharmacies - introducing efficient and reliable custom design for the healthcare industry. For more information about H.L. Coshatt Company, please visit the link provided. When you need quick, easy and affordable office furnishings look no further than Health Care Logistics and our ready-to-assemble shelving and cabinets. Available in five different colors and with five attractive laminated countertop colors to choose from, medical professionals can now furnish office spaces affordably and in a fraction of the time it takes to assemble traditional furniture and fixtures. MMI supports patient wellness through the planning, design, manufacture and installation of efficient industry-leading pharmacy systems. 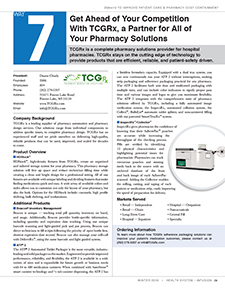 Our systems enhance the work flow of sterile compounding and prescription dispensing in acute care hospitals, government healthcare facilities and outpatient clinics across the United States. R.C. Smith is a leader in the field of pharmacy design and modular pharmacy casework with over 4,000 completed projects in both inpatient and outpatient settings. 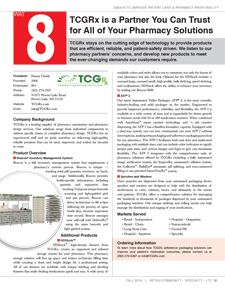 Our experienced design team can help you create a pharmacy that is highly functional and productive, ergonomic, aesthetically pleasing and we are fluent in clean room design and USP-797/state board compliance. R.C. 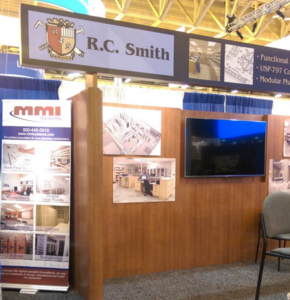 Smith's modular casework is innovative and has been developed with a form-meets-function design philosophy after listening to countless numbers of pharmacy directors and staff along with architects working in the healthcare field. For more information, please click on the link provided. 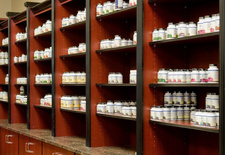 Shelving Design Systems has been specializing in serving retail, hospital, institutional, and long term care pharmacies for over 25 years. We are a full service design company that provides design expertise, drawings, store fixtures, woodwork, custom woodwork, project coordination, and full installation. We can help you design a remodeling project or new construction. All plans remain on file for any future growth where you will need our repeat services. SDS strives to create a dynamic store design to set you apart from the competition. 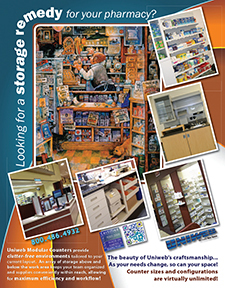 Uniweb provides modular, adjustable, customizable pharmacy storage and display solution for any pharmacy setting. 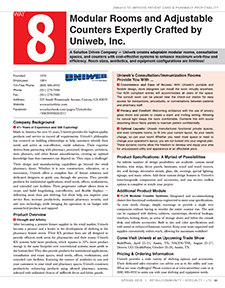 For a complete listing of products and services, please refer to the website provided.